The physical changes that occur during pregnancy can put additional pressure on your endocrine system. While you may normally produce hormones sufficient for regulating your body, pregnancy creates an increased need for these chemical messengers. Unfortunately, when hypothyroidism occurs during pregnancy it can be dangerous to both you and your unborn child. 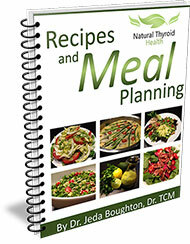 Your thyroid gland produces hormones, called thyroxine (T4) and triiodothyronine (T3), which are essential for your metabolic processes. A deficiency in these hormones causes all of the systems of your body to slow down. When this happens, it is common to feel sluggish, gain weight and lack the resources needed to provide optimal nutrition to the developing fetus. A well trained midwife or physician can assess your endocrine health by reviewing your symptoms and monitoring your hormone levels. Women who have pre-existing hypothyroidism are likely to have increased problems with thyroid hormone production during pregnancy. If you have a need to start or increase your thyroid hormone replacement, it is best to do so as soon as possible alongside dietary and lifestyle support. Women who have a thyroid deficiency during pregnancy may develop anemia, high blood pressure, harmful weight gain and severe fatigue. Hypothyroidism can cause heavy bleeding during delivery, premature labour and other problems that require medical intervention. The proper treatment of your thyroid can help prevent these problems and improve your probability for a healthy pregnancy. Untreated hypothyroidism poses risks for the fetus. A thyroid deficiency during pregnancy, will affect the development of the child’s brain and nervous system causing lower birth weight and lower IQ. Low thyroid function is also a common cause of miscarriage. In fact, many women who suffer from recurring miscarriage are found to have subclinical hypothyroidism. Around the end of the first trimester, the baby’s thyroid gland begins to function on its own. However, this does not eliminate the risk for miscarriage for the remainder of your pregnancy. If you have hypothyroidism, thyroid medication is safe for you to take during pregnancy. If you were taking thyroid medication before getting pregnant, you may need to adjust your medication throughout your pregnancy. Talk to a doctor or midwife that has experience with hypothyroidism and understands the potential for the changing needs of pregnancy. Your symptoms should be taken seriously and you should be asked to test your thyroid hormones periodically to determine the right dosage as your pregnancy continues. Some physicians routinely screen women during pregnancy, even when they are asymptomatic. If thyroid hormones are even slightly abnormal, treatment is recommended to help ensure a healthy pregnancy. Hypothyroidism can be a serious issue during pregnancy. Fortunately, appropriate medication, lifestyle and dietary changes can prevent the negative consequences for both you and your unborn child.